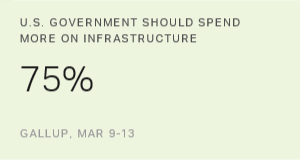 Explore Gallup's public opinion data on 10 of the major points in President Donald Trump's second State of the Union. President Donald Trump's desired changes to U.S. international relationships reflect American public opinion in some ways, but not in others. 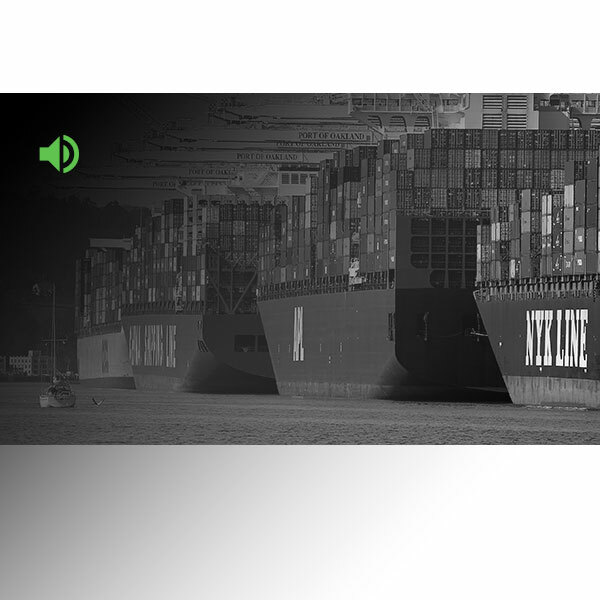 What Do Americans Really Know About Trade? Globalization has become a scapegoat for rising inequality and weak economic performance, but the evidence for this is weaker than commonly believed. Americans Split on Whether NAFTA Is Good or Bad for U.S. Despite rabid disagreements on many issues, the recent economic speeches by Trump and Clinton showed areas of agreement on economic policy, including several areas in which both candidates are in sync with American public opinion. 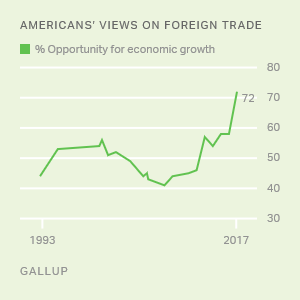 Americans see foreign trade positively when given an option between the views that importing is a negative and that exporting is a positive. Questions emphasizing only the effects of imports on jobs can produce more negative reactions.